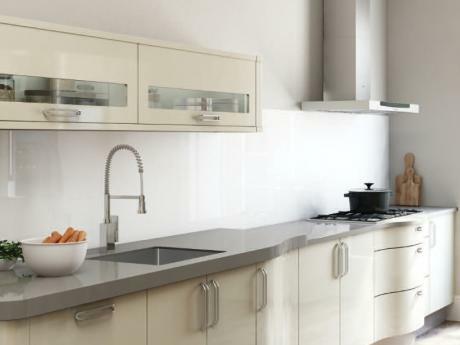 The clean lines and contemporary styling of a high gloss finish create a bold statement in any kitchen. The signature flat design and reflective surface can look great in a variety of finishes, from cool whites to wood grain gloss. High gloss doors are easy to care for and extremely durable.